This page shows a countdown to the day where VMware products reach their End of Support (EOS) phase. It's very important to keep an eye on support because products that are "EOS" do no longer receive security updates or bugfixes from VMware. Always keep your environment up to date and supported. Products, where EOS has been reached in the last 90 days stay visible on this page, older products are removed for reasons of clarity. Mouseover any product to see further information about General Availability and Support Dates. 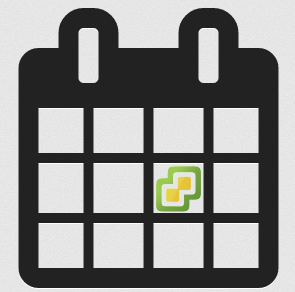 Add a reminder to your calendar with the .ics format by clicking the EOS counter. Any feature requests for this page are appreciated. When a product has reached its end of support (EOS) life, VMware does not offer new hardware support, server/client/guest OS updates, new security patches or bug fixes. During the Technical Guidance Phase, support is available primarily through the self-help portal. Customers can open a support request online to receive support and workarounds for low-severity issues on supported configurations. More information about VMwares Lifecycle Support Phases are available here.